Cleaner Tottenham employs a team of professional gardeners in Tottenham N17. Our gardening services include hedge trimming, lawn mowing and garden cleaning. For excellent gardening maintenance you can rely on the professional services of our top agency. They will be very beneficial for your personal garden as they will make it even better looking and will enhance its healthy growth. We offer amazing procedures for all types of gardens and we have the most effective professional instruments and machines which you can find nowadays. Every price is synchronized with the amount of work which each procedure requires and we never overcharge our clients. We are based in Tottenham N17 right now where we have been operating for the past couple of years. Gardens are lovely but unfortunately they need a lot of cares and attention before they can start looking the way you expect. Since we know that the majority of people who live in Tottenham N17 and in the other areas of London are pretty busy, we are ready to take that responsibility off their hands. 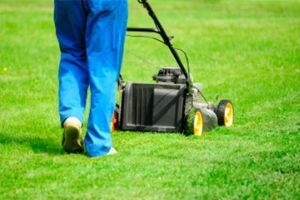 With the professional gardening services which we have developed, we can supply your property with everything necessary. To have the garden you’ve always wanted, you can give our employees a call throughout the entire week. Even during the weekends and the holidays we are always in our office, accepting calls and making reservations for our customers from every part of the city. We will give you an advice, if you need one, and will take care of all the details around the booking and performing of the gardening procedure you’ve chosen. Our team of professionals is prepared to perform the service you want immediately, so contact us and they will be on their way.